Mosquitoes are not only annoying insects that buzz around your ears and bite you, but they are also known carriers of deadly viruses that can kill a man. A homemade eco-friendly mosquito trap is very easy. If you get bitten by an infected mosquito, you could end up suffering from an illness that, if left untreated, could leave you with permanent damages or worse dying. Because of the risks mosquitoes pose to humans, it’s important that you get rid of them immediately. The most common solution to mosquito problems is to use pesticides and insecticides. However, this method is greatly discouraged since it has a lot of dangers. For one, it harms the environment. Not only does it pollute the soil and water, but it also causes health risks to animals and humans. Two, long-term use of insecticides oftentimes make pests more immune to the chemical. In time, the product will no longer work in controlling and eradicating them. For these reasons, people are urged to use organic and safe methods of eliminating mosquitoes and controlling their population. 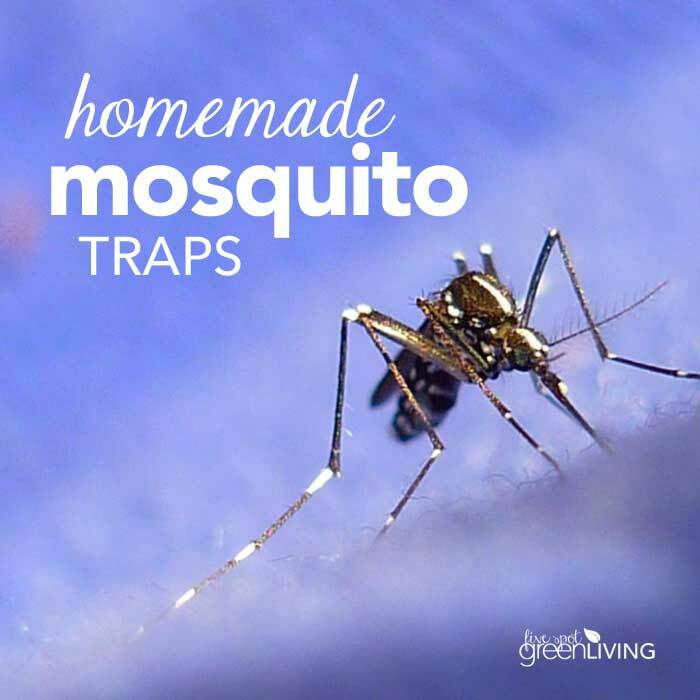 There are a variety of mosquito traps that you can make at home. The most common type of homemade mosquito trap is by making use of an old plastic bottle and a mixture of warm water, sugar, and yeast. What you need to do is to cut the plastic bottle in two, pour in the mixture, and insert the topmost part of the bottle upside down into its bottom half. To encourage mosquitoes to enter the trap, you should cover the bottle in black paper. Seal the edges close with a tape. The yeast and sugar mixture will draw the mosquitoes in, but with the upside-down placement of the top part of the bottle, getting back out is difficult. They’ll get trapped at the topmost portion of the mosquito trap and fall into the mixture. Because the mixture is sticky, they won’t be able to extricate themselves out of it. Another mosquito trap that you can make is by using a bare luminescent light bulb. As you know, mosquitoes and other types of insects are attracted to the light. When they land on the bulb, the heat coming from it will scorch them and knock them down. Now, this does not necessarily kill them though but only knocks them out a little that, after some time, they’ll recover and fly off. To kill them, you need to place a tray of water underneath the light bulb with detergent added in. This will break the water’s surface tension, so when they land on the water, they can’t fly away and will eventually drown. Of note though; if you’re going to make the light bulb trap, don’t use an energy-efficient cold light. It won’t scorch them and knock them down into the water. Instead, use an incandescent light bulb. Other ways of getting rid of mosquitoes is by eliminating their nesting places and planting plants that can repel mosquitoes. However, if all these measures are not successful, then it’s time to hire a professional pest control company. Just see to it that the company is offering eco-friendly means of getting rid of these pests. Check out the other insect-related posts! I’ve heard the yeast+brown sugar in a bottle thing before, but this article is dead wrong on the light bulb trick. Mosquitos are NOT attracted to light, at all. Thats why bug zappers don’t work on them.